From the department of “Is This Guy Totally Insane or Totally Badass or Both?” daredevil Felix Baumgartner is finally ready to attempt the world-record breaking skydive for which he’s been training and planning for many years. The Red Bull sponsored event is scheduled to take place Oct. 8th in New Mexico, weather permitting. Statistically early fall is the best time of year for balloon launches and other such experiments and atmospheric shenanigans. If successful, Baumgartner will become the first human to freefall faster than the speed of sound. He will also set the record for the highest skydive, jumping from an altitude of 120,000 feet. This is high enough that his capsule must be enclosed and pressurized, and his suit must be pressurized as well, all while being able to withstand the stresses of supersonic freefall. Just sit back and let that sink in for a while. 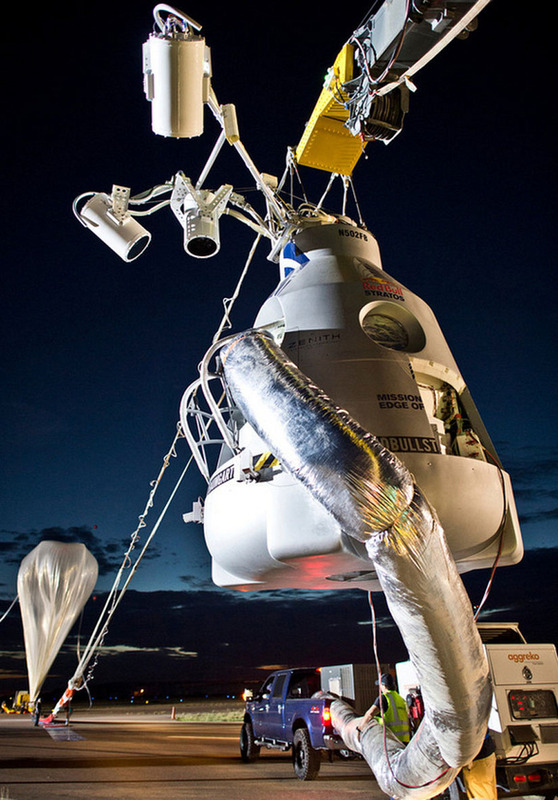 The guy is jumping out of a balloon capsule at 120,000 feet and will freefall at roughly 700 mph or even faster.